Livability.com surveyed more than 1,000 Millennials about what was important to them when they considered a relocation. BOISE, Idaho — The love for Boise seems unstoppable. The City of Trees has again landed a top spot on a national list: this time, Livability.com's 2019 Top 100 Best Places to Live ranking. Boise beat out more than 1,000 cities with populations between 20,000 and one million to secure the No. 1 spot. Livability.com partnered with market research company Ipsos to conduct their study, querying more than 1,000 millennials about what was important to them when they considered a relocation. The standout answers - including housing prices, job opportunities and affordability - were factored into the rankings. The top listing may grate on some Idahoans concerned about how the extra publicity will impact Boise's already fast-paced growth and accompanying shortage of affordable housing. The Livability.com writeup itself even gives a nod to the number of newcomers. "Take a walk around this year’s #1 city and ask people where they’re from, and chances are you’ll meet a lot of recent transplants from places like Portland, the Bay Area and New York," the post reads. "That’s no coincidence." The listing goes on to extoll Boise's relatively low cost of living, restaurants and breweries, and proximities to outdoor treasures like the Boise River and the foothills. "Boise has become a magnet for people looking for a tight-knit community, great job opportunities, easy access to the outdoors — and perhaps most importantly, a much lower cost of living than many larger and comparably sized cities," the write-up continues. "Young families are drawn to Boise because it’s one of the safest cities in the world. In addition, Boise’s combination of affordability and do-it-yourself spirit make it the perfect place for creatives (check out the awesome comedy scene), entrepreneurs and startups. The tech scene here is growing fast, with new talent flocking to the city, eager to find a work-life balance that allows for plenty of fresh air and adventure." 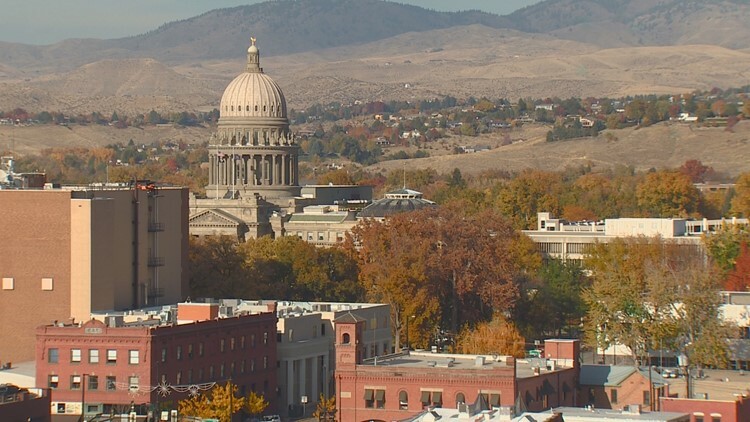 Livability.com noted that although Boise has taken a spot in the Top 100 since the list began, this is the first year the city has snagged the top ranking. The other Top Ten contenders are listed below. For the full list, click here.